They can be self-centered, arrogant or cocky. They seem charming at first, but later turned out to be intensely self-absorbed. They may be supremely confident in their abilities but turn out to be incompetent — and blame other people for their failures. Narcissists must perform a variety of mental and social gymnastics to protect their grandiose views of themselves. They seek attention and admiration. They build splashy, often exaggerated profiles on Facebook. They play games in relationships. And they lash out at anyone who criticizes them. But can an entire culture be narcissistic? Evidence points to that very trend, placing narcissism in the category of an epidemic — a disease spreading at a higher rate than usual. The construct of cultural narcissism has been with us for decades, most notably in the work of cultural historian Christopher Lasch (The Culture of Narcissism, 1979). Cultural narcissism is reflected in TV shows and song lyrics, as well as widespread tendencies toward vanity, materialism, entitlement, and fame-seeking. We have documented increases in a range of these cultural markers; these changes are typically larger than the increases in individual narcissism. report higher levels of self-esteem. The tendency to focus on the self, and to “show off,” is in many ways becoming a social norm. In fact, some people are setting themselves apart through their offspring. Drawing from 325 million names from the Social Security Administration database, we found that the names parents give their children are becoming increasingly unique. In the 1940s, about one in three boys had one of the top 10 most popular names; today that number has shrunk to one in nine (Twenge, Abebe, & Campbell, 2010). In fact, in many circles — particularly among celebrities — it’s no longer fashionable to use names as names. In June 2013, Kim Kardashian and Kanye West named their daughter North. Actress Gwyneth Paltrow and her husband, musician Chris Martin, have a daughter named Apple. Another target of research has been pronoun usage. In both the corpus of 5 million books housed by Google and the lyrics of Billboard Top 10 songs, the use of first person singular (I, me, mine) has grown, while the use of first person plural (we, us, our) has declined. Many other data points show a similar pattern. In a sense, narcissism is the dark side of individualism — freedom without responsibility, relationships without personal sacrifice, and positive self-views without grounding in reality. What comes next? How will narcissism further evolve? In order to maintain elevated self-views in a world with the standard economic and social pathways blocked, individuals will need to migrate into other social realms that are less constrained by reality. For example, individuals could move to online social realities where they can succeed (e.g., social networking, gaming, Reddit), fantasy or “geek” subcultures (e.g., science fiction, live action role-playing), or other alternatives. In essence, growing income inequality in the real world could lead a population of narcissists to feed their self-views in fantasy cultures. Buffardi, L. E., & Campbell, W. K. (2008). Narcissism and social networking websites. Personality and Social Psychology Bulletin, 34, 1303–1324. Cai, H., Kwan, V. S., & Sedikides, C. (2012). A sociocultural approach to narcissism: The case of modern China. European Journal of Personality, 26, 529–535. Campbell, W. K., Miller, J. D., & Buffardi, L. E. (2010). The United States and the “Culture of Narcissism”: An examination of perceptions of national character. Social Psychological and Personality Science, 1, 222–229. Gentile, B., Twenge, J. T., & Campbell, W. K. (2010). Birth cohort differences in self-esteem, 1988-2008: A cross-temporal meta-analysis. Review of General Psychology, 14, 261–268. Holtzman, N. S., & Strube, M. J. (2013). People with dark personalities tend to create a physically attractive veneer. Social Psychological and Personality Science, 4, 461–467. Konrath, S. H., O’Brien, E. H., & Hsing, C. (2011). Changes in dispositional empathy in American college students over time: A meta-analysis. Personality and Social Psychology Review, 15, 180–198. Lasch, C. (1979). 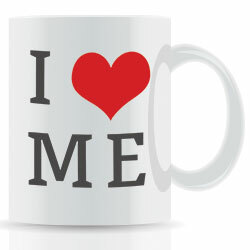 The culture of narcissism: American life in an age of diminishing expectations. New York: Norton. Park, H., Twenge, J. M., & Greenfield, P. M. (2013). The Great Recession: Implications for adolescent values and behavior. Social Psychological and Personality Science. Stinson, F. S., Dawson, D. A., Goldstein, R. B., Chou, S. P., Huang, B., Smith, S. M., … & Grant, B. F. (2008). Prevalence, correlates, disability, and comorbidity of DSM-IV narcissistic personality disorder: results from the Wave 2 National Epidemiologic Survey on Alcohol and Related Conditions. The Journal of Clinical Psychiatry, 69, 1033–1045. Twenge, J. M., Abebe, E. M., & Campbell, W. K. (2010). Fitting in or standing out: Trends in American parents’ choices for children’s names, 1880-2007. Social Psychological and Personality Science, 1, 19–25. Twenge, J. M., Konrath, S., Foster, J. D., Campbell, W. K., & Bushman, B. J. (2008). Egos inflating over time: A cross-temporal meta-analysis of the Narcissistic Personality Inventory. Journal of Personality, 76, 875–902. Uhls, Y. T., & Greenfield, P. M. (2011). The rise of fame: An historical content analysis. Cyberpsychology: Journal of Psychosocial Research on Cyberspace, 5, article 1. Wallace, H. M., & Baumeister, R. F. (2002). The performance of narcissists rises and falls with perceived opportunity for glory. Journal of Personality and Social Psychology, 82, 819834. Young, M. S., & Pinsky, D. (2006). Narcissism and celebrity. Journal of Research in Personality, 40, 463–471. I have often observed that society today breeds this type of individual. This in my opinion will lead to isolation of the individual who is a victim to this whether learned as a child or developed later in life in the company he/she keeps. Its an enslavement and I know some people who are like this and its difficult to maintain a real relationship. Interesting piece. It is quite fascinating watching people who exhibit varying degrees of narcissism feeding their own narcissistic supply through chronic social media posting, escaping into the fantasy land that a vague sense of everyone is always watching, regardless of the accuracy of that belief. This is a ridiculous article. The introduction alone doesn’t give information. It’s actually quite offensive and a broad, negative generalization. As a father of four kids am really upset about this article because I don’t want my kids to imitate this narcissism practice in my family. Interesting article. I have the same concerns as Abu with regards to my children – however after reading the article above, I guess I will need to be more attentive and guiding in an attempt to try reduce the effect of narcissism which I have seen at home and uni. Just the other day during our Individual in Society lecture the group of kids behind me could easily fit into the description of narcissism. Unfortunately the damage to children is done by the time they’ve been a few years in school. Sorry I haven’t time to give references for this. On the upside: it’s normal for children to be highly narcissistic up to and often through teenage years. Then they either develop true empathy and a balanced acceptance of their flaws and limitations or they don’t. It’s as if they were headed one way or the other already. Parents who expect too much of their children at too young an age drive them towards narcissism by instilling a need to be perfect (flawless) or else they are worthless. Peer pressure to be popular and outstanding, with condemming of weaknesses, often does the same thing. It’s not just imitation, it’s pressure to be worthful in unrealistic ways. It’s from trying to get love, regard and belonging that is given only to those who are ‘perfect’. Strict religion can also be very toxic like that. Undoing that kind of damage is tricky and difficult. Making it worse is easy, just nag them. No need to feel bad about it. As this article says, it’s common. Don’t just take my word for it, read about it, search online (there’s heaps of information). I’ve left out the importance of ‘optimal frustration’ for very young children. It took me a long time to sort out that much understanding. I think that the adolescents/adults of today are so focused on social media and post anything and everything not knowing that they can become narcissistic. Peer pressure is constantly a push for adolescents/adults to be involved or they feel left out. I feel that young people rate themselves higher level or think that they are and have unrealistic expectations of themselves. Now a days I see more of this with people showing off more and not respecting themselves, they also copy each other and having no thought about being responsible. I’m sorry but the only thing I learned from your grumpy, hate-filled rant is that our society is quickly abandoning what your generation wishes were social norms so you’re angry. Get over yourself and accept the fact that humans are free in the US to do as they wish as long as it doesn’t infringe on the rights of others. That includes doing things like naming their baby “Apple”. What, did you think the name Suzy was around for eons before the first parent ever named their child that? Daniel you are an exemplary specimen of the odious vermin this article exposes-Congratulations! And Suzy is A LOT better than Apple-I believe Miss Paltrow suffers Low IQ syndrome which is more common among YOUR generation I would rather have a higher IQ than High self-esteem which is utterly undeserved and which most Americans under 41 suffer-pure imbecils are overly confident and indeliably stupid! I think based on environmental and social level, everyone has little bit of narcissism, It is question of to the what extend and how they are maintained in control because of their moral and beliefs. one of the major cause of narcissism is the social construction how its been developed, especially in the western society, parents teach their kids to be confident and express your self with confidence in front of others. also being taught to be “I” with capital letter and focus on I. if u think about the alphabetical letters, what ever you write in sentence, the letter “I” always should be capital. because the society has taught us always to focus “I” because “I” is more important than anyone else. Anything that occurs on the societal level is also occurring on personal and family and community levels. I am aware that there is a growing amount of support groups for victims of ‘Narcissistic Abuse’. Generally it is accepted that it is a little understood experience and dynamic that can leave individuals mentally, emotionally and sometimes physically destroyed – also financially damaged. These support groups are for people that are trying to find solidarity in order to grow through this dynamic and no longer be a victim of the abuse. If you have not experienced it then it is hard to understand the impact of it, and I feel that because there are ‘blinders’ on in terms of the wider reflection of Narcissism in our society – and ‘victim blaming. ‘t is easy to dismiss the victims or to suggest that it doesn’t matter. I can tell you – it does. It affects good people. Many good people. Reading articles on the web to help 20 yr old son in Nursing School. I found this article to be accurate, but not only the younger generation is addicted to “Face time”, my 58 yr old friends find it necessary to show all of their lives in social media, I deactivated this morning, as I really don’t want to read about how wonderful your life is, where you went and what you ate… As a Public Health Nurse I find the 1990’s generation to have very little patience, we call them the McDonald’s generation, I want it and I want it now, they also all seem to wait to the last minute to prepare for anything.They will find out that can be very dangerous–STD’s lack of Birth Control etc. 2016 highest rate for STD’s ever in US! W. Keith Campbell, professor of psychology at the University of Georgia, is the author of more than 100 scientific publications and books. 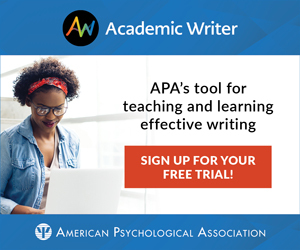 He can be contacted at wkeithcampbell@gmail.com; Jean M. Twenge, an APS Fellow and professor of psychology at San Diego State University, is the author of more than 100 scientific publications and books. She can be contacted at jeantwenge@gmail.com.